Snapchat CEO Evan Spiegel on Saturday revealed the company’s move to rename itself Snap Inc. On top of that, Spiegel announced the company was coming out with a pair of glasses called Spectacles that are expected to take the millennial world by storm. Spectacle is Snap’s new invention that not only looks super cool but also allows users to take videos hands-free. For our Snap-crazed generation, what could be better than recording videos with your eyes? Let’s get down to what these are exactly. Spectacles are a regular-looking pair of sunglasses that also have the option of recording live video. There are small buttons placed at the top corner of either side of the shade’s lenses that can start and stop recordings. I know what you’re thinking: this is a revamped Google Glass, but here’s the consolation. Snap has worked around the failings of Google Glass. Snapchat CEO Evan Spiegel announced the debut of Snap Inc. and Spectacles on Saturday. PHOTO VIA FLICKR USER BARN IMAGES. One of these major issues with Google Glass was that a person couldn’t tell when wearers were recording them. Snap’s solution is that once the camera is turned on, a light will shine and it’ll be clear if someone’s recording. Another issue with Google Glass was the sky-high pricing. Snap will make a lot of people happy, innovators and laggards alike. Like an average pair of Ray-Bans, Spectacles are not only drool-worthy to look at, but also priced at a steal ($130) as opposed to Google Glass’s $1,500. 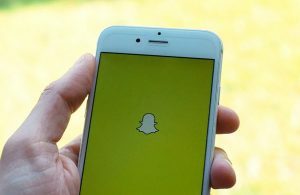 Consumerism is huge and Snap is making the most of it. Here’s why millennials will find Spectacles interesting. It’s basically Snapchat, but circular. You can record videos in a circular frame, most closely matching with the eye’s natural field of vision. You can then connect to Wi-Fi at a later time and transfer videos to your phone, where the stories will be saved in Memories. You can also take videos up to 30 seconds long, as opposed to Snap’s 10 second limit. The battery on Spectacles is averaged to last one day but here’s the cool thing — they automatically juice up when kept in their case. The Spectacles will be made available in three eye-catching colors: coral, teal and black. They look like sunglasses, as opposed to Google Glass, which had a slightly dorky design. The most profound difference between Snap and Google Glass is the variation in their marketing strategies. While Google Glass targeted elite innovators by claiming it was a product of the future, Spectacles are taking on a fun personality and targeting the millennials who are already faithful to Snap. Spiegel reportedly called this invention a fun “toy” to see how it fits into people’s daily lives and how people like it. The challenge now is to see whether Spectacles will live a better fate than Google Glass. Only time can tell if they’ll make it big, end up in a teenager’s messy drawer or worse, die on store shelves.